After finding the right niche you want to blog about to build an income generating blog, you need to choose the right blogging platform. It is just like a traditional business. After you know what you want to sell, you would choose a location where to sell your business products and services. The location here is the blogging platform you choose. There are many different blogging platforms to choose from. Some are free and some will cost you a few Naira per month or per year. A lot of people decide to go for the free blogging platforms like www.blogger.com, www.wordpress.com and www.typepad.com. These free blogging platforms are fine for those individuals who just want to blog and NOT make much income online. 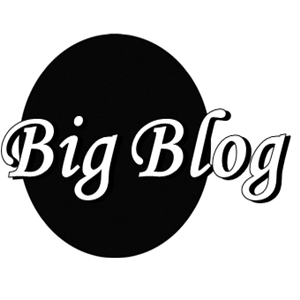 Using a paid blogging platform will improve your ability to earn more money from blogging. This is one of the reasons why I don’t recommend you use any free blogging software. Though I started my blogging prowess with a free blogging platform but I didn’t make much income. I also lost traffic and following when I moved to a paid blogging platform. So it is advisable to start with a paid blogging platform. They are relatively cheap to get. What you should know also is that most free blogging platforms do not allow you to include advertisements of any kind. They provide very few options to change the design of your blog and a limited amount of internet space. They also require much more technical knowledge than the non-free platforms. With the free blogging software you cannot add plugins that will aid the functionality of your blog like plugins that make it load faster, attract visitors, allows you to add photos, videos…the list is almost endless. I recommend that you pay less than $5 per month and use a paid WordPress or paid Blogger. I can help you with this free of charge, the only thing is that you would have to pay for your web hosting. You need to know that there are two different versions of WordPress. The WordPress software from www.wordpress.com is free. They provide everything, the domain name, the hosting and the software but I do not recommend you use this. The other WordPress software from www.wordpress.org. This is the one I use and recommend you use also. It is free to get but you will need to pay for a web host so that the files can be managed by you effectively.